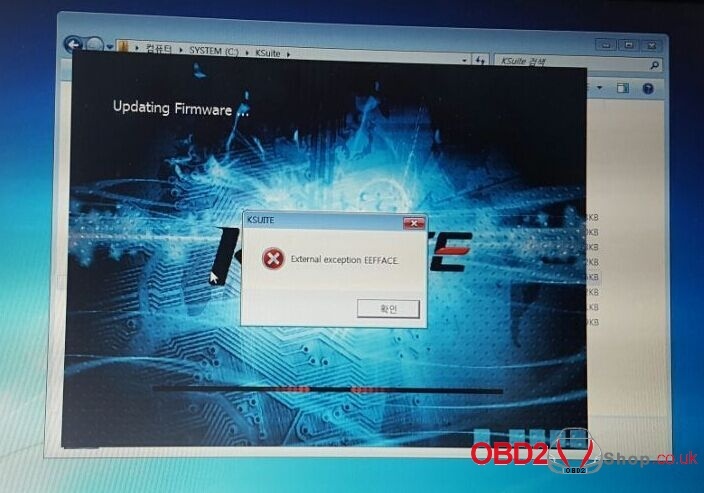 Kess V2 V5.017 ksuite V2.47 firmware update error “external exception EEFFACE”, what’s the matter and how to do. 1. The software is installed incorrectly. 2. The driver is installed incorrectly.